10 in. 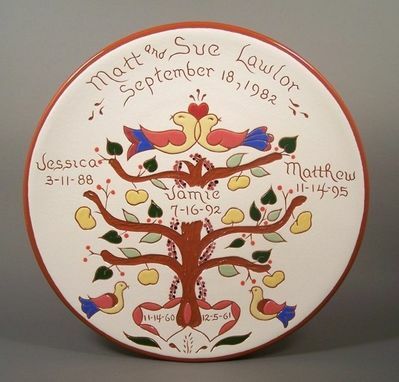 custom made Family Tree Plate . This is an especially personal piece with plenty of options for the perfect memory. Together we'll put all your ideas in place, and add a piece of art that will last through the ages.